When we experience negative emotions such as depression and anxiety, the feelings are usually preceded by unhealthy thoughts and self-statements. Many times, there is a pattern to these thoughts and the thoughts are profoundly influenced by our core beliefs, which represent our deepest level of thinking. Our core beliefs influence the way we see our self, other people and the way we see the world. Cognitive Behavioral Therapy (CBT) affirms that our long-standing beliefs about one’s self, other people and the world around us can lead us to have a sort of tunnel vision as we consider these beliefs to be absolutely true and completely valid. We rarely examine the evidence around us, which may be contradictory. These core beliefs, also knows as “schemas” in CBT, make up the very center of our belief system and therefore have an important impact on our mental health and overall well-being. Our childhood experiences, cultural influences and inherent dispositions all contribute to the development of our core beliefs. Core beliefs are assumed to be true and therefore can be difficult to recognize, challenge and change. Our core beliefs serve as a strong contributor to our problems and mental health challenges because they influence what we observe, attend to, and remember about our experiences. Once our core beliefs are formed, they are often maintained even if contradictory evidence is presented. Conflicting information is often disregarded, not noticed or viewed as an exception to the rule. Because of this, our core beliefs are key in defining how we feel and how we behave. Overestimating the probability of danger or threat. He would likely overestimate the probability that something bad will happen. He might hear of or experience something terrible and believe that in all likelihood, it will reoccur. Underestimating one’s ability to handle situations that involve uncertain outcomes. With this thought error, the person would amplify the effects a negative situation will have on him and forget that he has coped with difficult things in the past and will most likely be able to handle future struggles. Intolerance of uncertainty. This thought error involves demanding certainty and predictability, and engaging in constant worry about the future in an attempt to gain certainty. The individual with the core belief that the world is inherently dangerous, may live life by the motto, “it’s better to be safe than sorry”. Of course, some situations can be dangerous and bad things do happen in the world, and we need to be able to rationally assess risks in some situations. However, individuals who hold the core belief that the world is a dangerous place typically make global assumptions without considering the real odds. Because healthy core beliefs are vital to good mental health, therapists who specialize in Cognitive Behavioral Therapy (CBT) can help individuals become more aware of patterns of thinking and behaving that are triggered by core beliefs. It is important to recognize that changing your core beliefs can be a difficult task that will take time and practice because you have carried your old belief for many years. 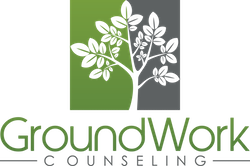 At GroundWork Counseling in Orlando, our CBT therapists can help you to adjust your old negative core beliefs from negative and biased to balanced, realistic and rational.